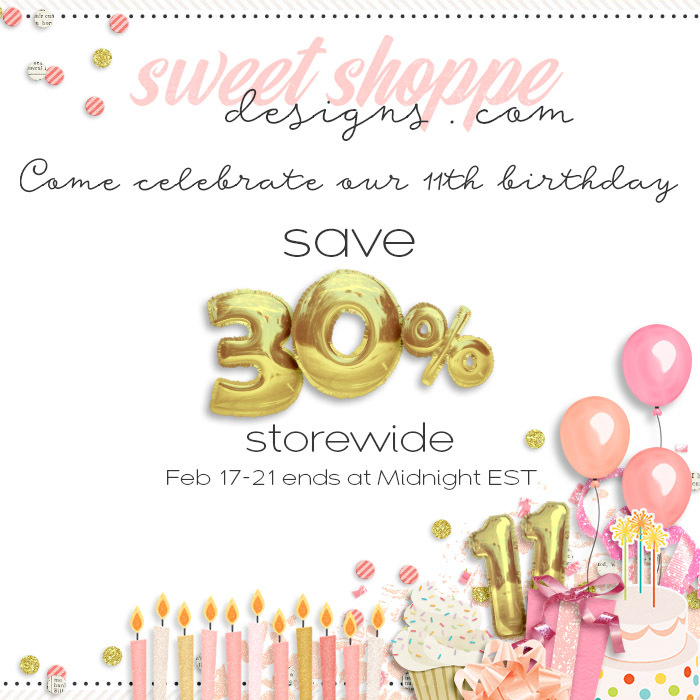 As you guys know, Sweet Shoppe’s 11th anniversary celebration has been going strong, and this week is no exception because it’s time for the annual anniversary storewide sale – everything is 30% off over the next few days. 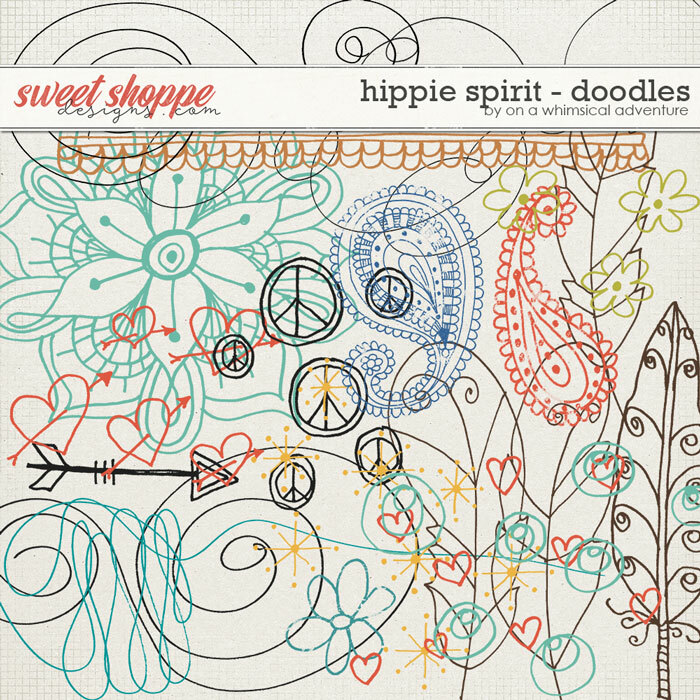 This week I’m bringing back ‘Hippie Spirit’ to Sweet Shoppe Designs. 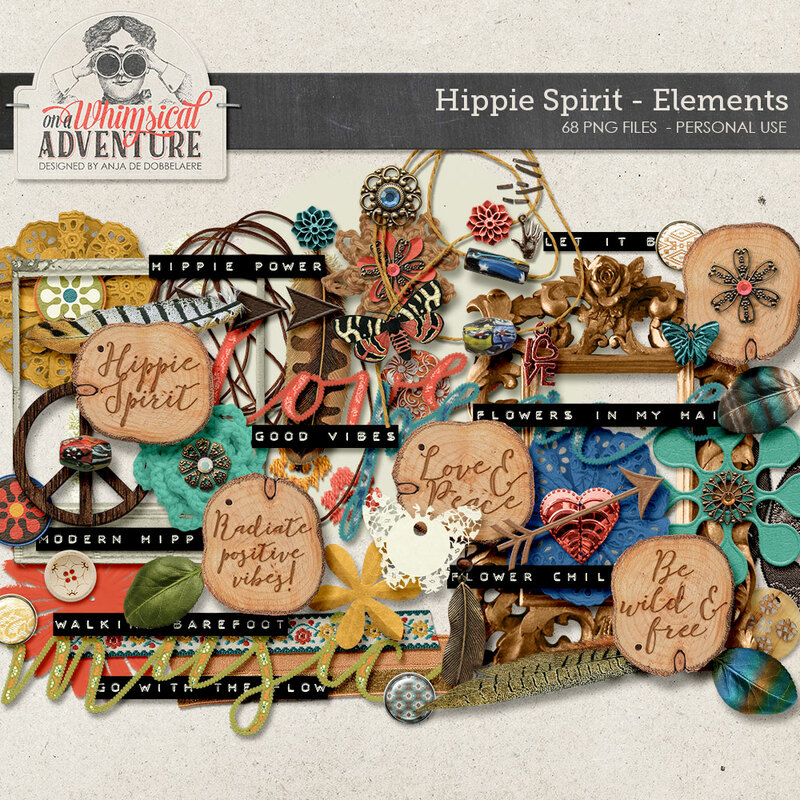 The Hippie Spirit digital scrapbooking collection is all about modern hippies. 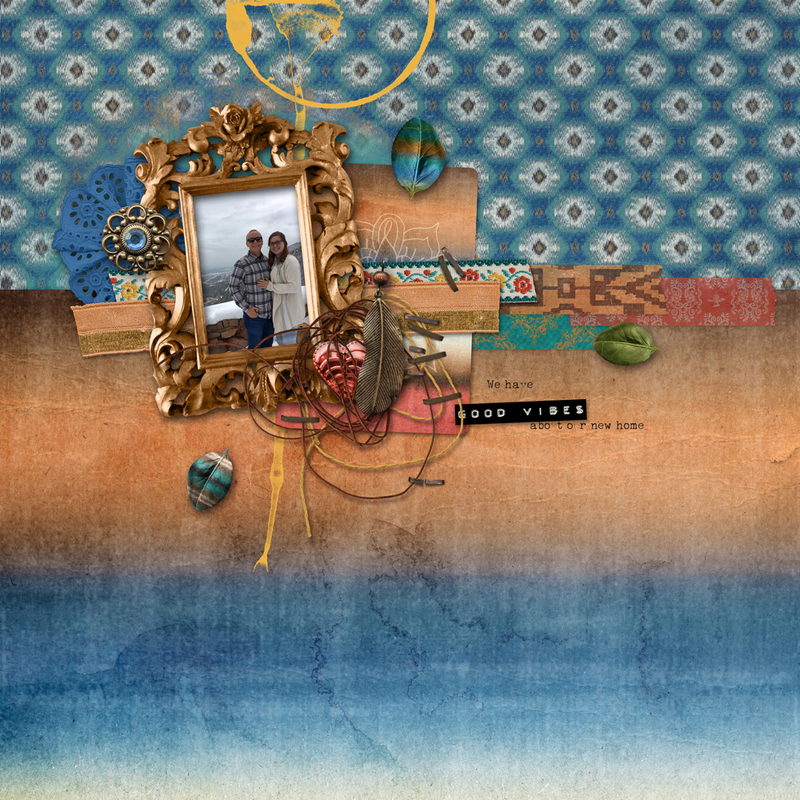 It is filled with tons of papers and elements in bright and happy colours and patterns and a bit of boho chic. 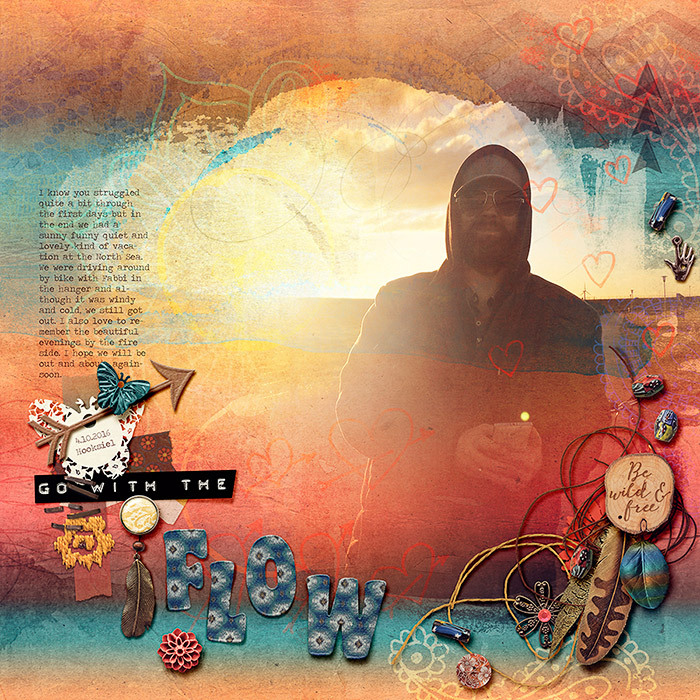 Finish up those pages with a touch of paint and a few whimsical doodles… Embrace all the peace and love in your heart… Scrap, art journal and create… express those positive vibes and let your spirit soar! 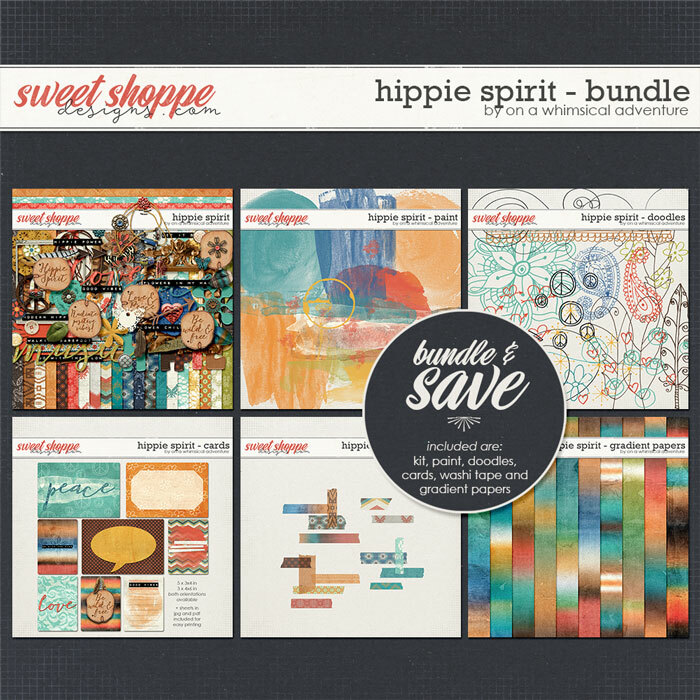 Hippie Spirit is huge, but you can save a lot by grabbing the bundle! 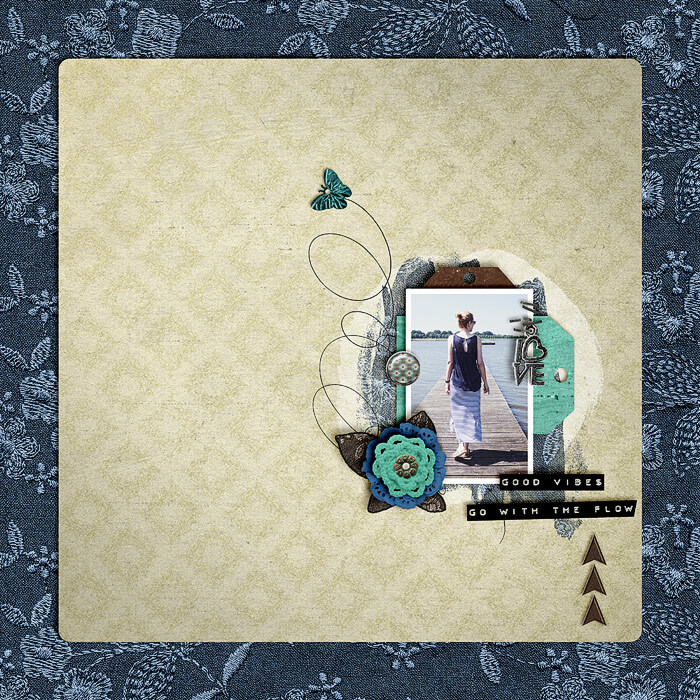 Included are the kit, the paint, the doodles, the gradient papers, the journal cards and the washi tape. 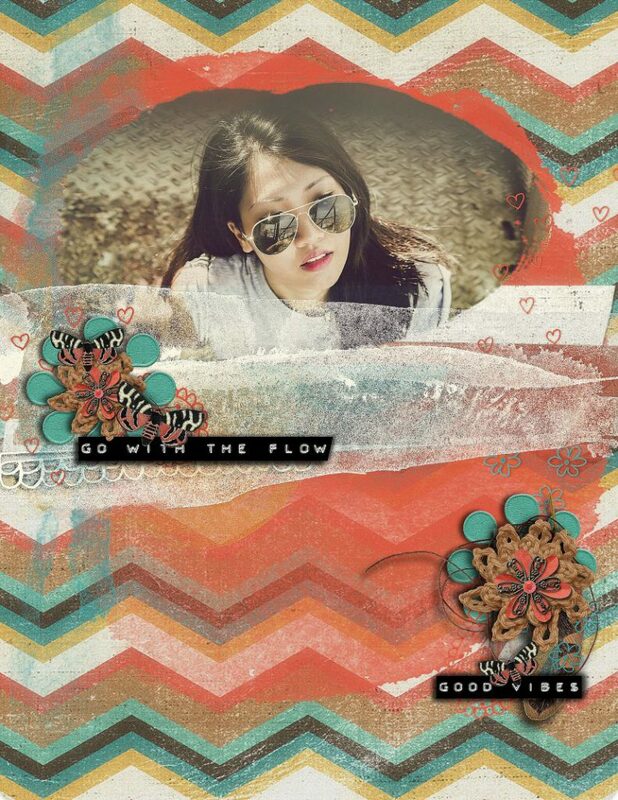 Available at Sweet Shoppe Designs only, grab it here. 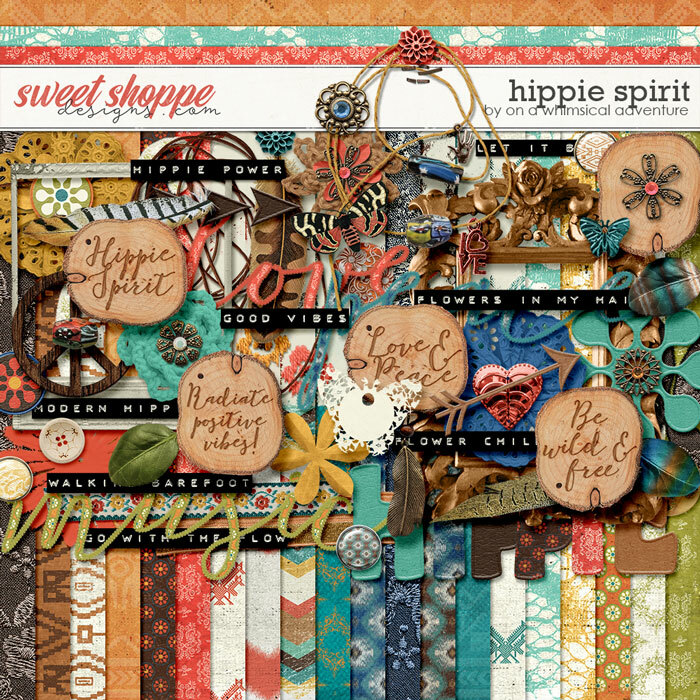 Available at Sweet Shoppe Designs only, here’s the link. 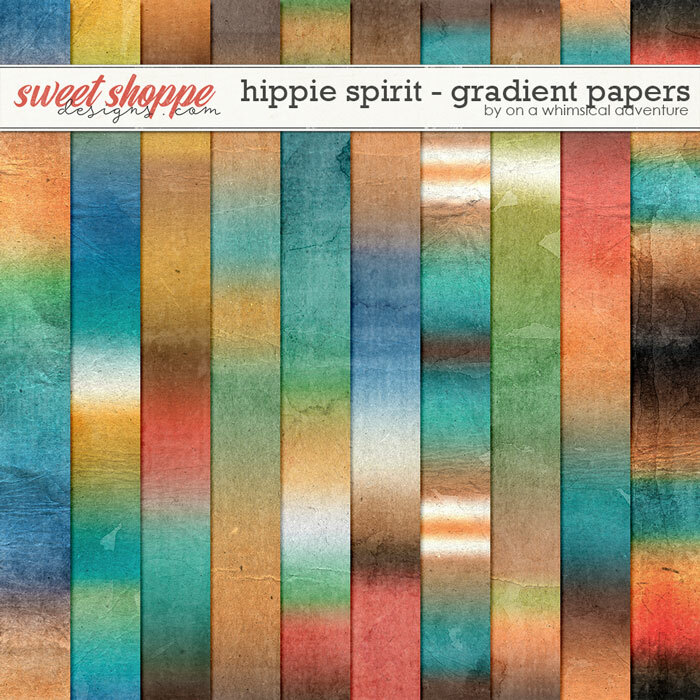 Included in this pack are 10 gradient papers, designed to coordinate with the Hippie Spirit Collection. In the mid-1960s ‘tie-dye’ fabrics were very popular. 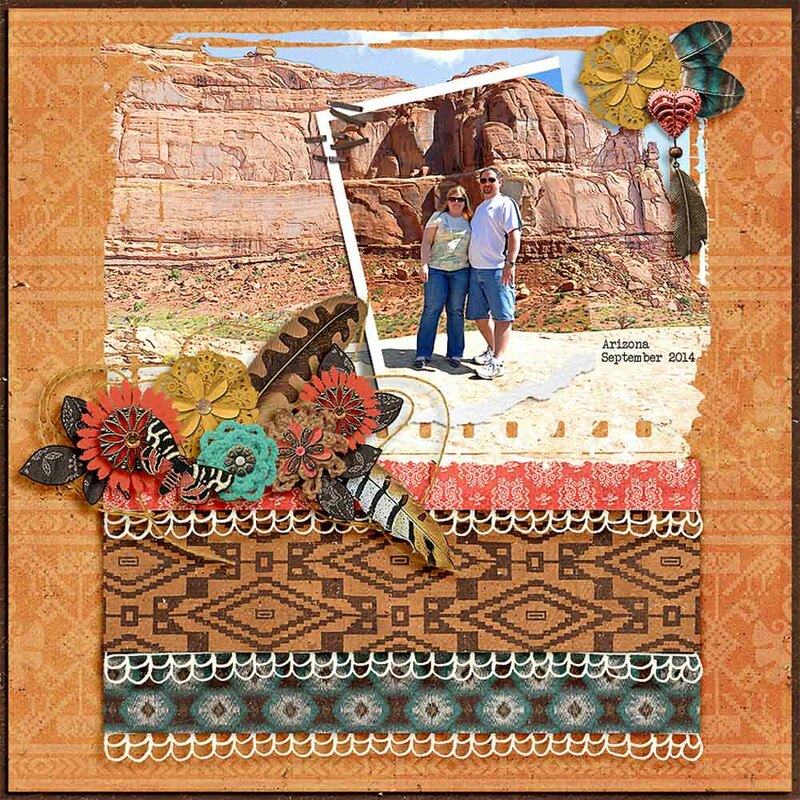 Inspired by this technique of folding, twisting, pleating, or crumpling fabric or a garment and binding with string or rubber bands, followed by application of dye(s), these ‘gradient-dye’ papers were born. 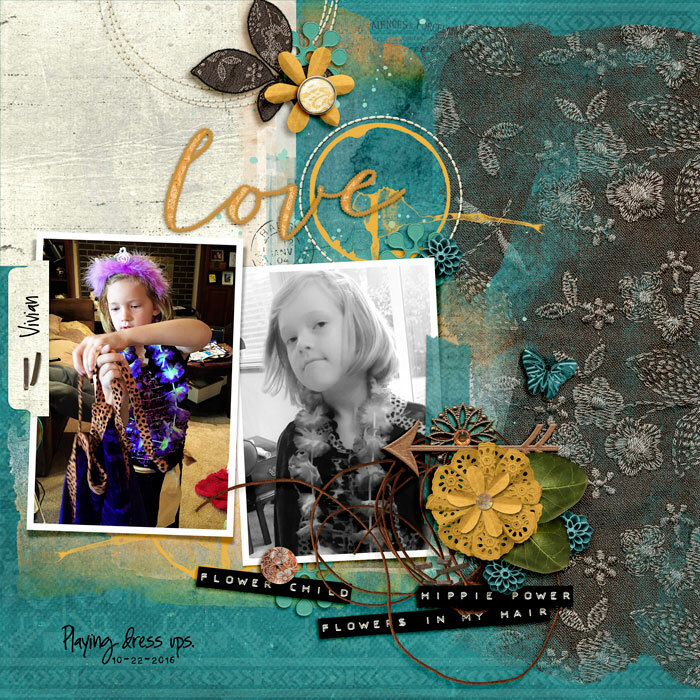 They will add a real casual and bohemian chic feel to your layouts! 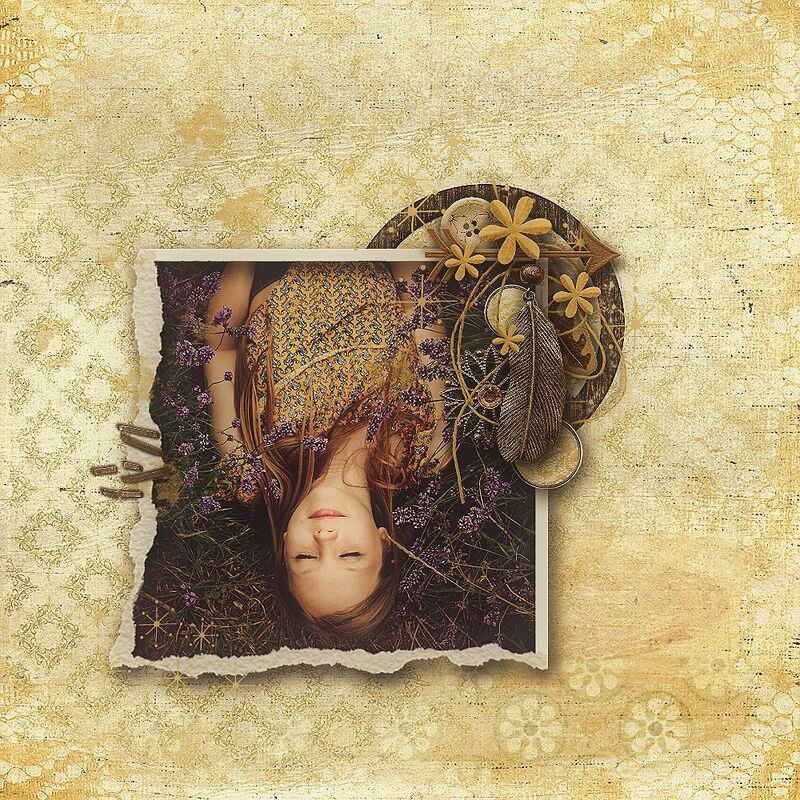 You will receive 10 hi res 12×12 inch papers. 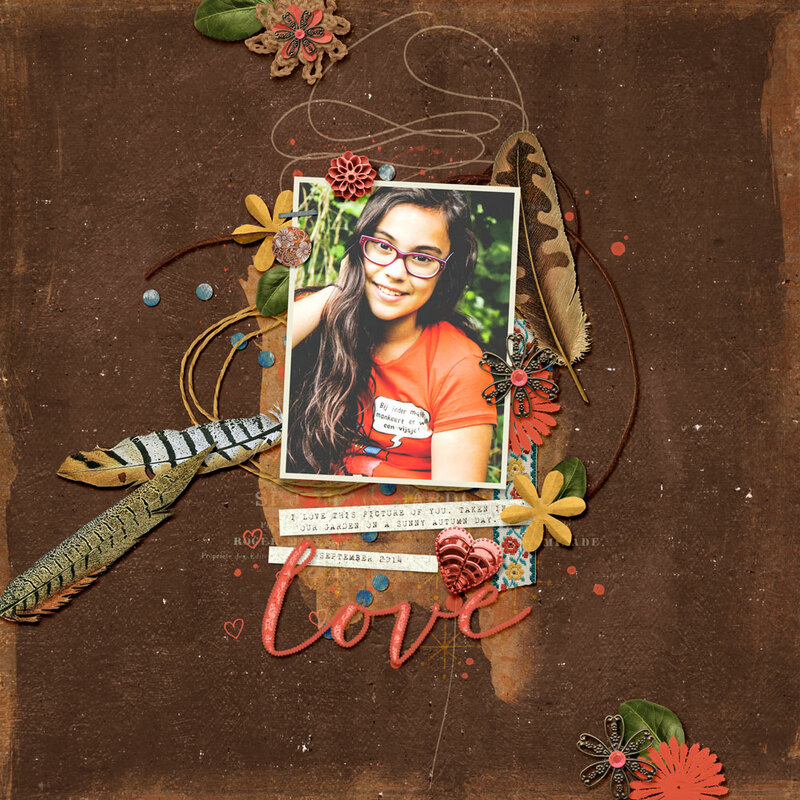 Included in this set are 20 handdrawn hearts, flowers, peace signs, paisley patterns, feathers and other scribbly things that will add a touch of whimsy to your digital scrapbooking pages and other layouts. 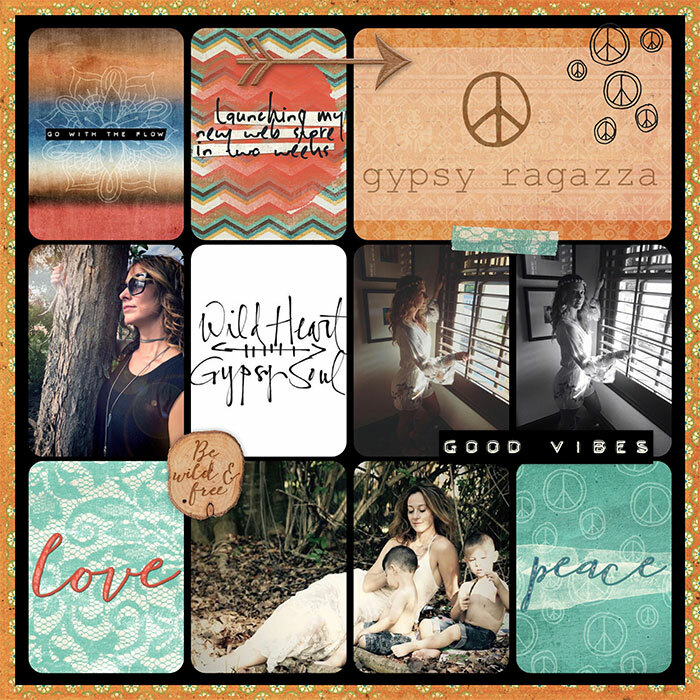 You will receive 20 PNG files designed to coordinate with the Hippie Spirit Collection, I’ve included an ABR file as well. 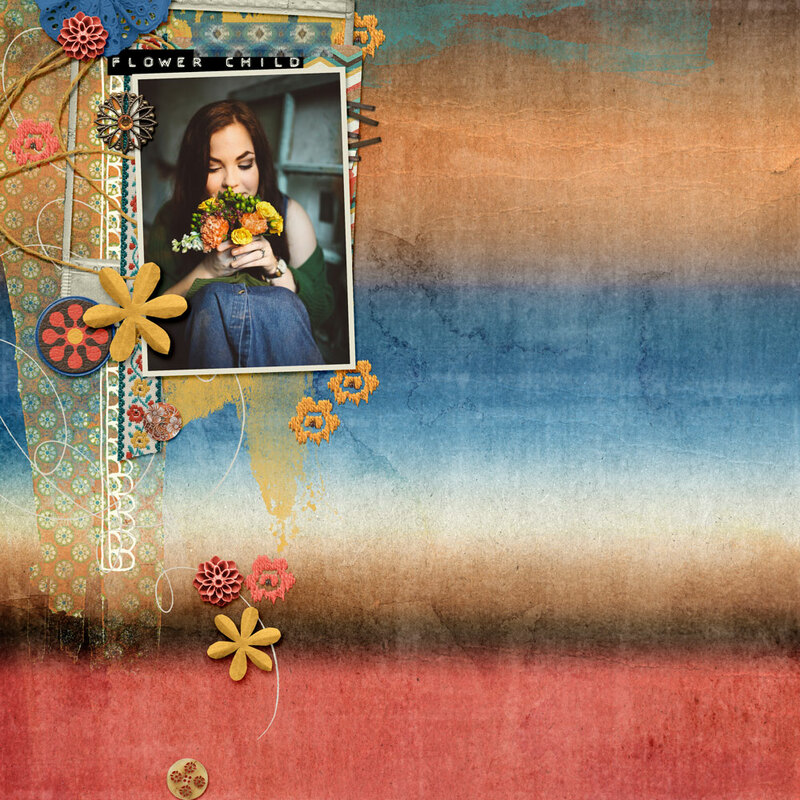 Included in this pack are 12 large paint strokes, circles and other painted things. 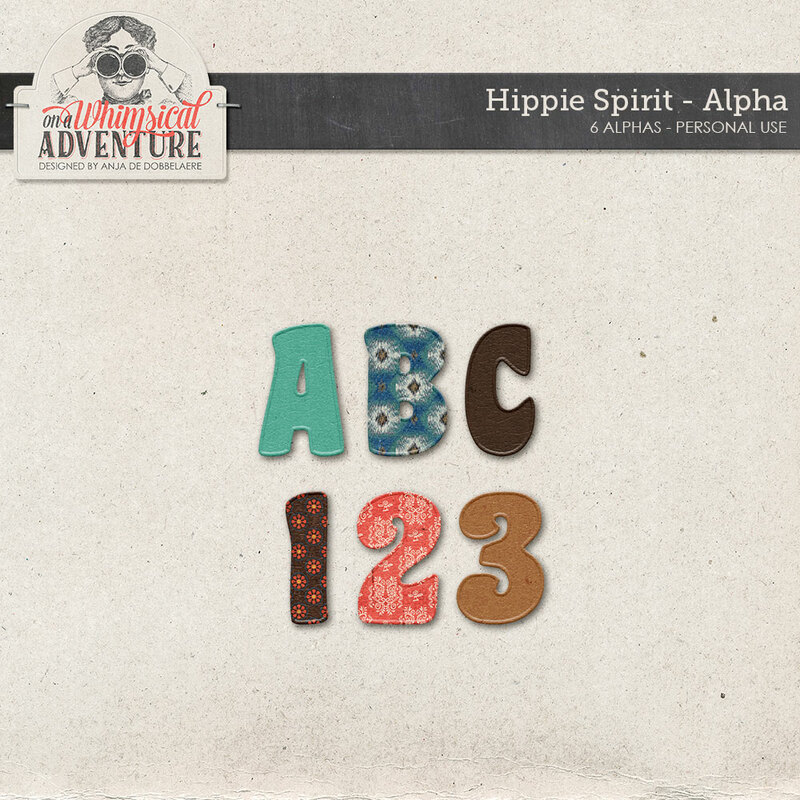 You will receive 12 PNG files in colours that coordinate with the Hippie Spirit Collection, and 1 ABR file. 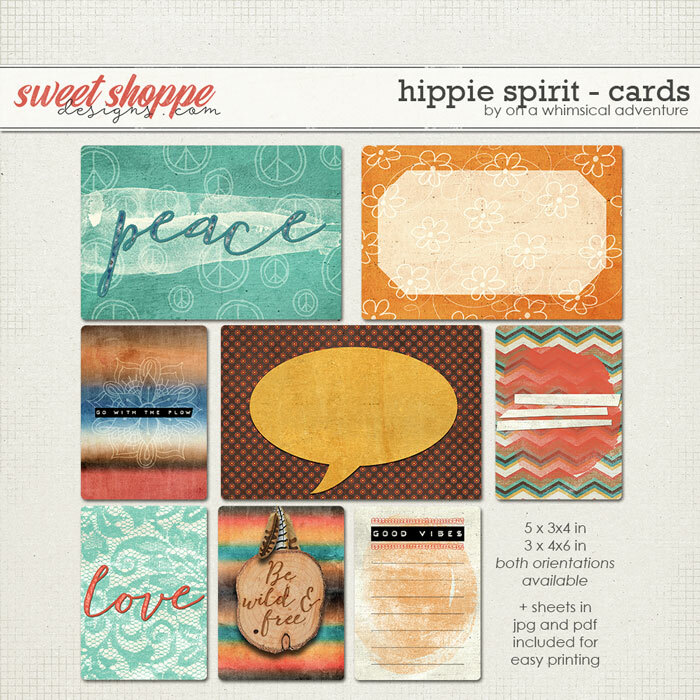 Included in this bundle are 2 x 8 journal cards, designed to coordinate with the Hippie Spirit Collection. 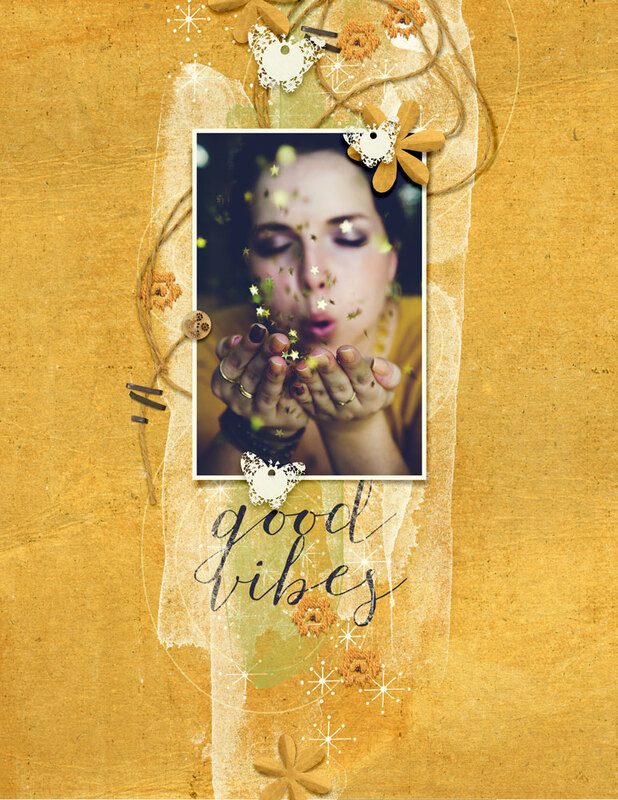 You will receive 8 PNG files (5 cards 3×4 in and 3 cards 4×6 in) in both orientations (16 cards in total) and sheets in JPG and PDF for easy printing. 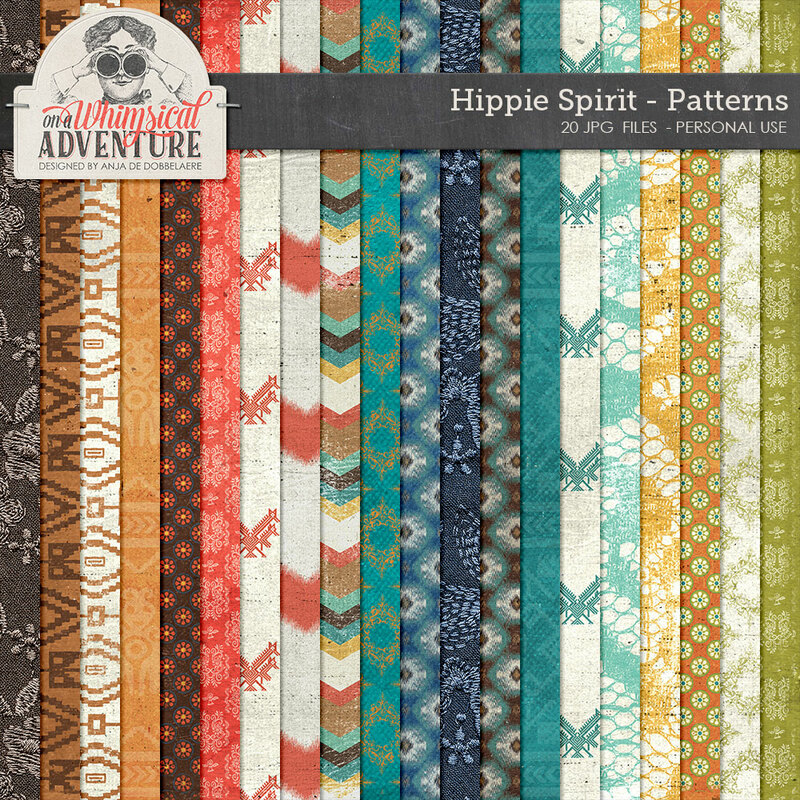 This washi tape pack was designed to coordinate with the Hippie Spirit digital scrapbooking collection. 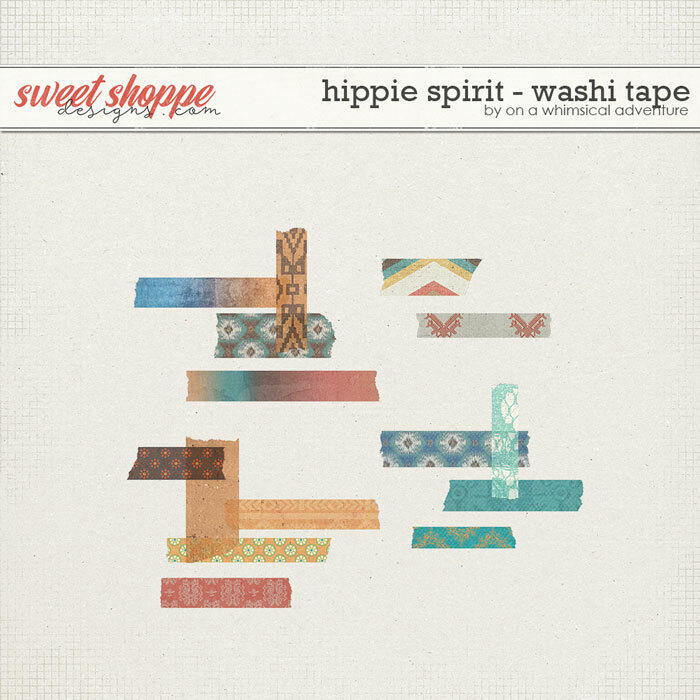 It contains 15 pieces of digital – but very realistic looking – washi tape in different sizes. 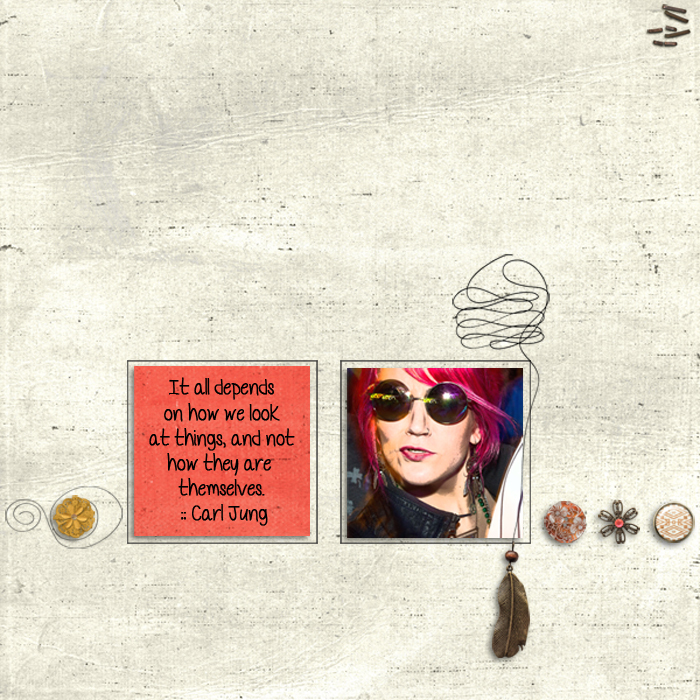 Use them to ‘attach’ photos, notes or other (paper) things to your layouts, or use them just for decoration. You will receive 15 PNG files. 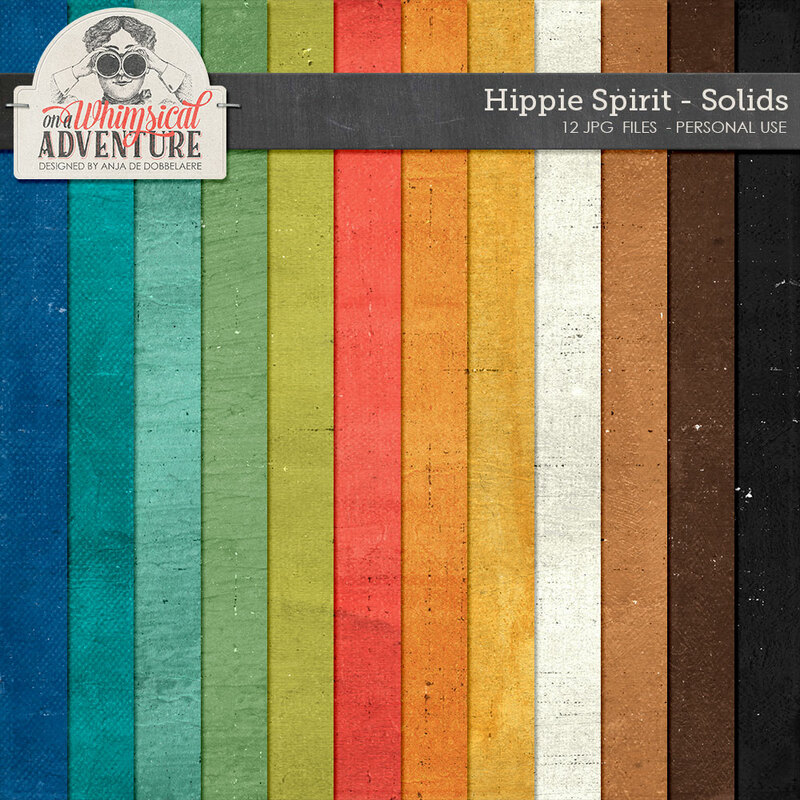 Available as a separate pack in my Etsy shop only, grab Hippie Spirit Elements here. Available as a separate pack in my Etsy shop only, grab them here. 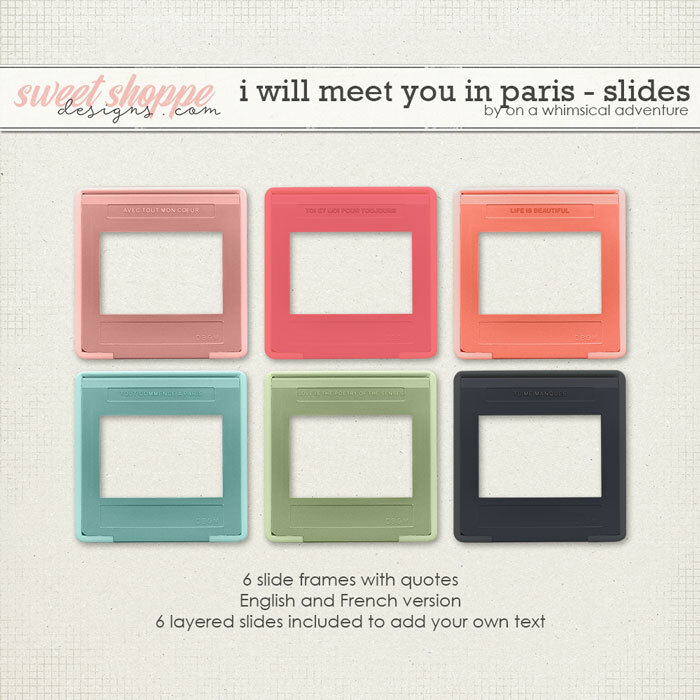 Last week I had two ‘Free With Purchase’ offers in my shop at Sweet Shoppe Designs. Those two packs are now separately available (and no longer a Free With Purchase). 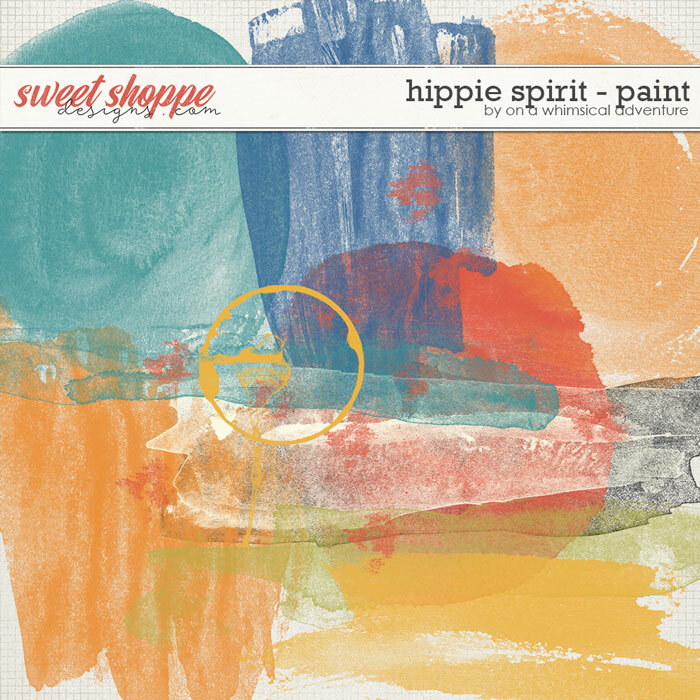 The images are linked to Sweet Shoppe. 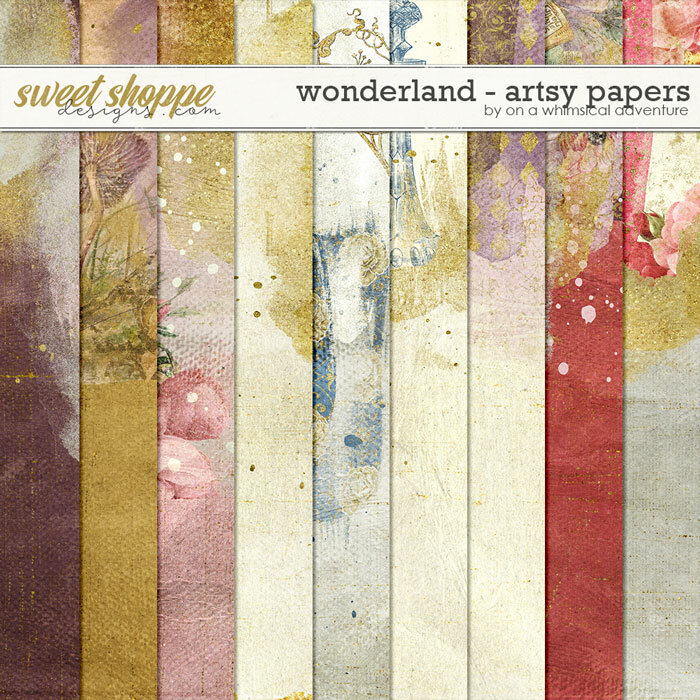 I’d better leave you now so you can go shopping, the store is filled with new goodies from every Sweet Shoppe Designer, grab a cup of coffee and have fun!